Germany/Austria – MC Bauchemie and Porr have developed a new TBM backfill grout based on a geopolymer that is suitable for use in swelling rock formations. The companies stated that the cement-free filler is sulphate resistant and adequately prevents swelling pressures while providing the usual bedding for securing the tunnel ring. Norway – Hybeko’s Tunnel 3390 Lift was named product of the year at the International Powered Access Federation’s (IPAF) Summit and International Awards for Powered Access (IAPAs) held in Dubai in March. It is an aerial work platform specifically designed for tunnelling and similar construction applications. 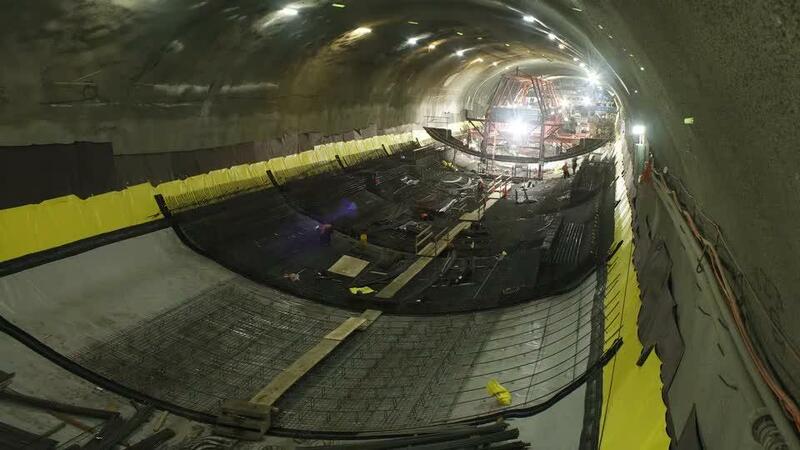 Canada – The Toronto Transit Commission (TTC) opened an RFI for its Relief Line South Subway Tunnel Boring Machine Supply and Design, closing May 9. Indiana - Citizens Energy Group’s DigIndy Tunnel System project reached a significant milestone on Wednesday, April 10, when its 20ft- (6m-) diameter TBM completed mining the Lower Pogues Run and White River Tunnels. Illinois--Waterline Renewal Technologies, provider of engineered products used in the trenchless rehabilitation of wastewater infrastructure for municipal, commercial, industrial and residential applications, has been acquired by private equity investment firm Behrman Capital.